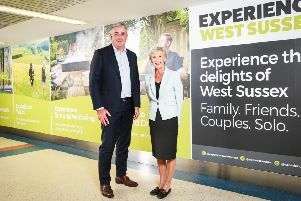 “We hope for the best but must plan for the worst” was the message from West Sussex County Council as a 4.99 per cent council tax rise was announced. The increase will add more than £65 to the county’s portion of a Band D bill taking it to £1,383.57. On top of that, residents will have to dig deep to find and extra £24 for Sussex Police along with smaller increases from the county’s district and borough councils. On average, people will pay some £95 more on their council tax bills in 2019/20. Leader Louise Goldsmith said the increase was ‘not something we undertake lightly’. She added: “We want to squeeze every bit of value from the pounds we ask of our residents to pay in council tax. “We also know that, without increasing the council tax, we will not meet our statutory duties in adults and children’s social care. “I’m only too aware that we’re asking more financially of our residents. Mrs Goldsmith said the council would continue to lobby the government about its fairer funding review, saying it might bring ‘some relief in this parched financial landscape’. The council tax rise includes a two per cent increase in money for adult social care services, with the remaining 2.99 per cent going to the general fund. Presenting his balanced budget to a full meeting of the council, Jeremy Hunt, cabinet member for finance and resources, told colleagues that the viability of West Sussex was ‘not in doubt’. The council’s day-to-day spending – the revenue budget – has risen by £41.5m to £575.469m. The meeting was told that the figure reflected the extra £19.1m the council would receive after being chosen to retain 75 per cent of any business rates collected. The plan is to work with district and borough councils to use the money from those rates to fund a digital infrastructure project. There will be £20m over the next three years to finally complete Woodlands Meed special school, in Burgess Hill, where parents, staff and students have been crying out for a college building. Kirsty Lord (Lib Dem, Hassocks & Burgess Hill South) told the meeting the future now looked ‘bright not bleak’ for the school. Mrs Goldsmith announced that West Sussex had be named as one of 42 district, borough and county councils to take part in the government’s Rapid Rehousing Pathway scheme. The project is part of the Rough Sleeping Strategy, and the council will receive £1.1m to support housing charities. Some of the decisions, though, were not so positive – and not unexpected. A total of £23.4m in savings were found, including cutting housing related support by £1.7m to £4.6m, with a further cut to £2.3m lined up for 2020/21. The grant has allowed charities such as Crawley Open House to provide help and support to vulnerable people, including those forced to sleep rough. However, £750k was provided, spread over the next two years, to help the charities through the change. More than £300k will be cut from subsidised bus services, meaning the loss of some routes. Funding for the Troubled Families programme – part of the integrated prevention and earliest help scheme – will be cut by £560,000. There were concerns from some councillors about the level of borrowing needed – £26.6m – to deliver the council’s capital spending plans, such as the Woodlands Meed project. Cabinet member Richard Burrett (Con, Pound Hill) told the meeting that borrowing was the only way the build would be delivered.